We’ve been banging on about Rustie since ‘Jagz The Smack’ had our jaws dragging on the lino back in ’07, and it’s hard to believe it’s taken him this long to get an album together. Sure there have been a handful of EPs, singles and splits, but few captured the chemically enhanced hedonism of that first plate, well, until now. It seems Rustie has somehow managed to fend off the weight of expectation by ignoring the devil on his shoulder and furrowing a path all his own through bass music. This is a pure Rustie album from beginning to end, and it succeeds by being just as uncompromising as those key early releases. It’s not the same; in the years since ‘Jagz The Smack’ we’ve seen the hiccupping digital glitch experiments replaced by an FM synthesis fetish and an eye on 80s stadium pop – but this is knocked so far into the bass music and contemporary rap template it’s hard to know where one begins and the other ends. Take album highlight ‘Hover Traps’ for example, which kicks off with a slap-bass intro straight outta Seinfeld then bashes it gruesomely into the kind of rap-trance Chris Brown has made his calling card (thankfully sans that woman hating tw*t whining over the top). AraabMUSIK may have jumpstarted the bass/rap trance crossover with ‘Electronic Dreams’, but Rustie makes it his own; nobody else would have the balls to use the sounds he does, and to be quite honest nobody else would manage it with the same finesse. These are club tracks, but with the kind of unpretentious trickery you rarely hear in contemporary pop. 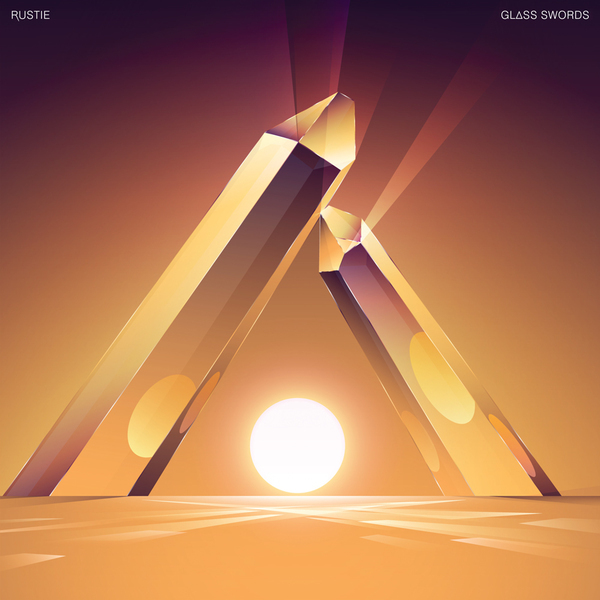 Somehow ‘Glass Swords’ seems totally out of time, and while it sort of fits in on some level with the bass/dubstep/hip hop instrumentals ‘thing’, it’s all and neither – it might be that Rustie has thrown so much into the mix he’s ended up with something totally new. If you want a record that will put a huge grin on yer face and have you coming back time and time again, Rustie has provided in spades. A huge recommendation.